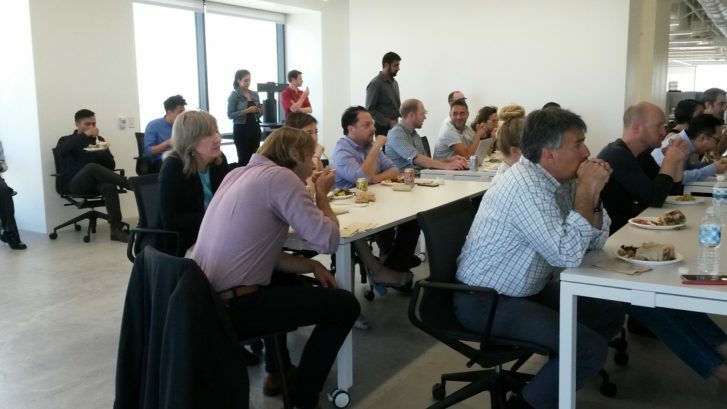 Terra-Petra’s Forensic Waterproofing Expert, Barry Taheri, presented his sixth lunch and learn program for global architecture, planning and design firm, Skidmore, Owings and Merrill (SOM), at their downtown Los Angeles offices on Grand Avenue, on August 29, 2018. In his presentation, “The Principles of Building Enclosure Systems,” Taheri provided info on the importance of building waterproofing and the benefits of investing in mock-ups, along with a few live demonstrations. Our delicious lunch was catered by Mendocino Farms. Terra-Petra’s presenter Barry Taheri was more than happy to stay after the presentation to field questions from many of the audience members. We want to thank SOM for their time as we were very impressed with this world-class firm and hope to be able to work with them on projects in the near future. Contact Terra-Petra for information on how to schedule a Lunch and Learn Program for your organization.